Michele masterfully guided us through the purchase of our house and corresponding sale of our condo and we could not be happier with the result! Michele is second to none and I am very glad we went with someone so experienced and knowledgeable. We would recommend without reservation. I hired Michele to assist me with selling my home. She was always very personable and very responsive to our needs. She had great strategies, understood our local market and gave us a lot of marketing options. When we found a buyer, she was a strong but fair negotiator. It is my pleasure to recommend her to anyone looking for a great real estate agent! 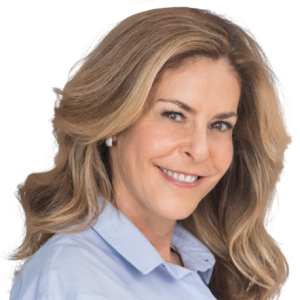 We had the good fortune of choosing Michele Rosen to be our Realtor to work with us on three real estate transactions. Michelle has done a fantastic job representing our interests and has provided us with exceptional service not only while the deals were ongoing but also in assisting us with various tasks after closing. We would not hesitate to recommend Michele to anybody who is looking for a trustworthy, knowledgeable Realtor looking to buy or sell a property in Toronto. It has been a pleasure working with Michele for the past 15 years. Over this period of time, I have retained her services for almost $10 million of residential real estate transactions. She is the constant professional. Always in constant contact with me during the period of due diligence and closing, and always prepared with the information that I require to make an informed decision. There is no doubt that she is a valuable asset at Harvey Kalles. I look forward to continue working with Michele and I would recommend her to anyone. Michele has acted on my behalf on numerous real estate transactions with highly efficient, profitable results. She is a highly dedicated professional, committed to meeting the needs of her clients and she always comes through with fantastic results. Michele is an experienced professional who knows the market well and uses her knowledge to the client's fullest advantage. I would highly recommend her! Michele worked with us to sell our house and buy another house. She gave us excellent advice and helped us to maximize our sale price and negotiate our purchase price and terms. We could never have managed the complexities of the real estate market withour her help and we are thrilled with the result! I would highly recommend Michele for anyone selling or buying in the GTA area. Thank you again Michele! You achieved the best possible result given the timing, the state of the house, and the potentially precarious state of the economy. Thanks for all your hard work, wisdom and expertise. Thank you also for working with me and keeping all the relevant information in front of me while keeping the irrelevant/non helpful information away from me. I appreciated our candid discussions! All of the above is what sets you way ahead of the competition. You're awesome! And everytime I do business with you, I see how incredibly good you are as an agent. You will get my listing unequivocally and other referral opportunities! You really impressed me today!